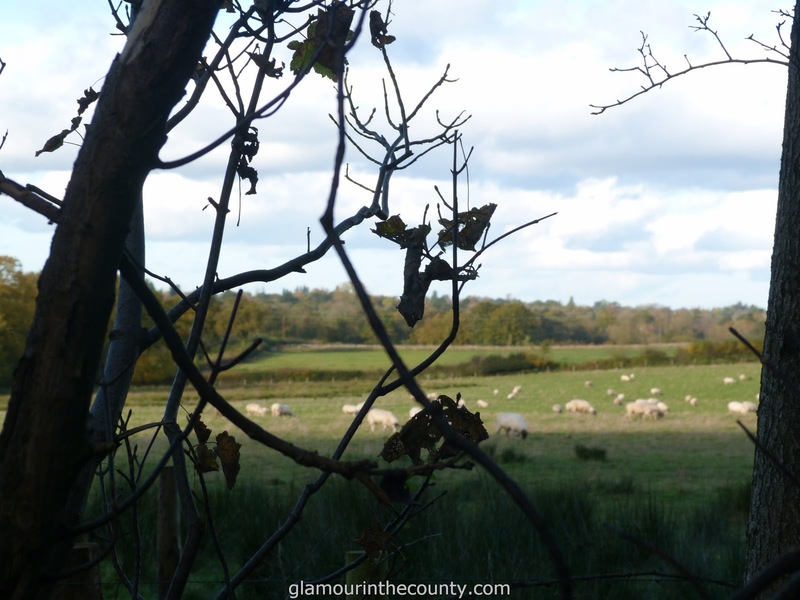 Can anything beat a walk in the countryside? I love nothing more than spending time in the English countryside and enjoying everything that is has to offer. I thought I’d grab the opportunity, before the winter sets in, to explore more of the Warwickshire countryside. 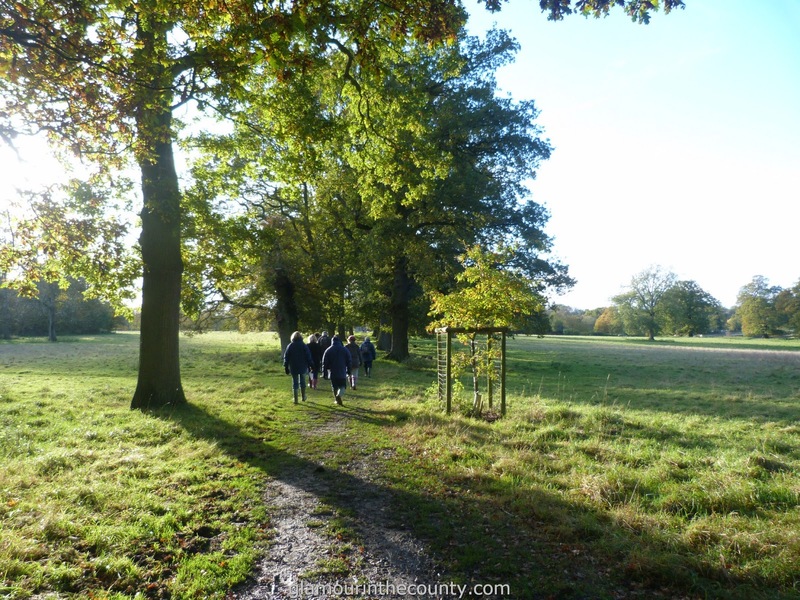 Having seen many tweets from the National Trust about their Great British Walk campaign, I noticed there was a planned walk through one of the woods at Packwood House this weekend. Being a fair weather girl, I kept my fingers crossed that the weather would be kind to me. Whilst there was a little rain in the morning, by the time it came to the afternoon walk it was a perfect autumn day, a little crisp but otherwise a bright sunny day. I wrapped up against the coolness and put on my Timberland waterproof fur lined boots, which are also sturdy for rough ground. We were to meet Oli, the Country Ranger, who was leading the walk and there were about ten other people, which was a nice number as it gave us all the chance to ask questions as we went along. 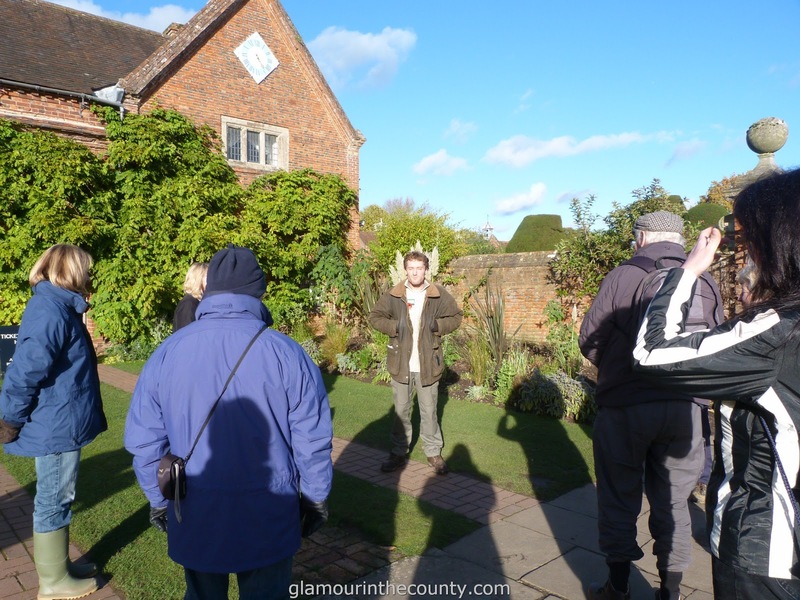 We made our way across from the House towards Gorse Wood, which is one of four woods at Packwood House. 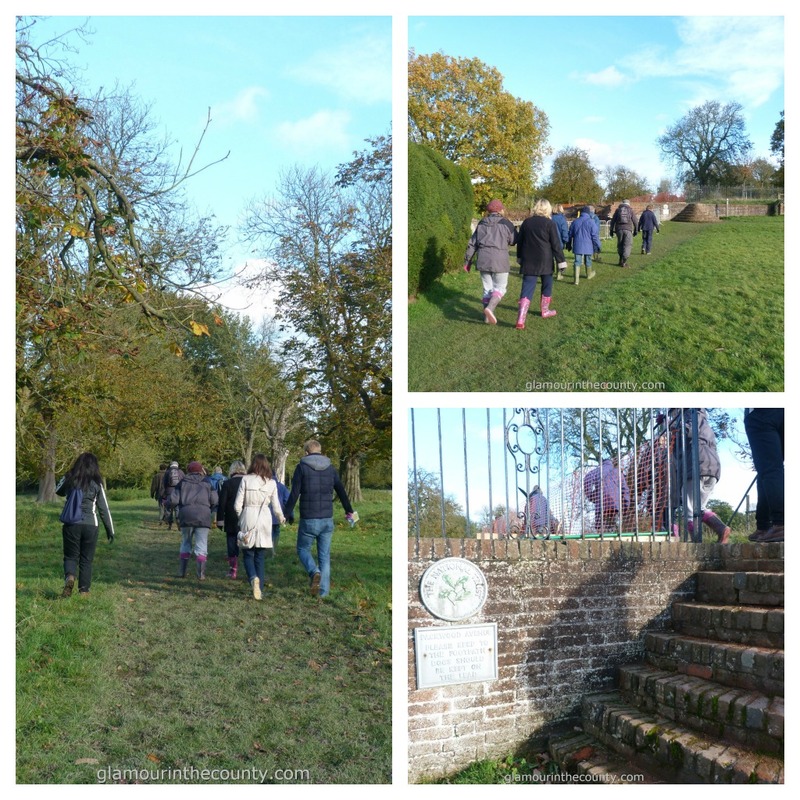 Once we had climbed a few steep steps we started walking towards the wood. I’m glad I wore my boots as it was very wet and muddy underfoot, but with the views you get over the Warwickshire countryside it was the last thing I noticed. Each of the four woods, (Gorse, Brick Kiln Coppice, Pool Tail Coppice and The Grove), at Packwood are approximately 2.5 hectares in size. 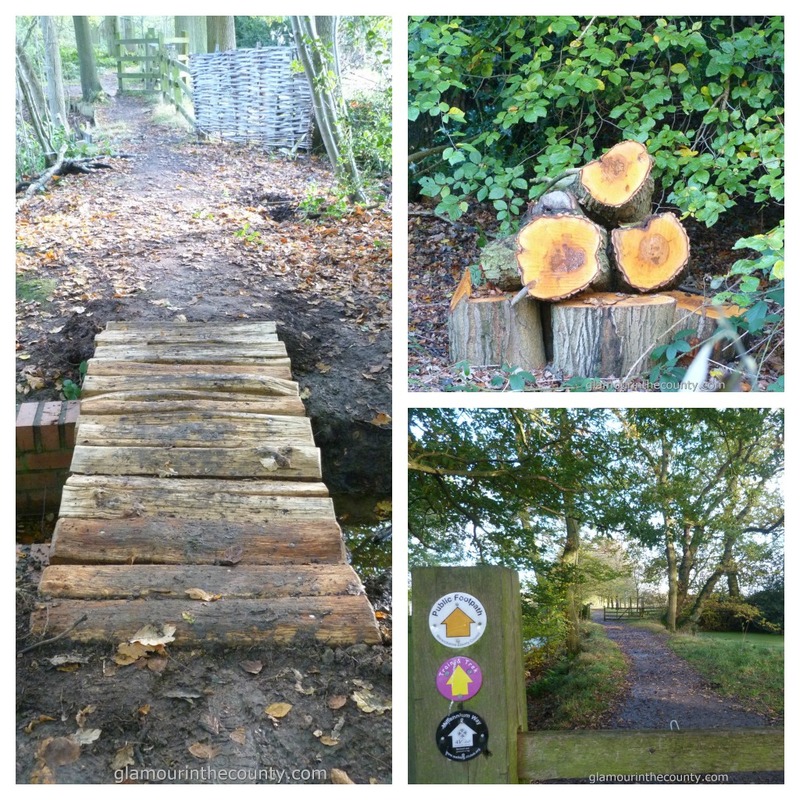 There is currently work taking place on Gorse Wood to double its size to create a full circular walk. This will take the Wood back to its larger size as it was in the 18th Century. Over the winter Oli and an army of volunteers will be planting 900 trees that will be part of this new route. 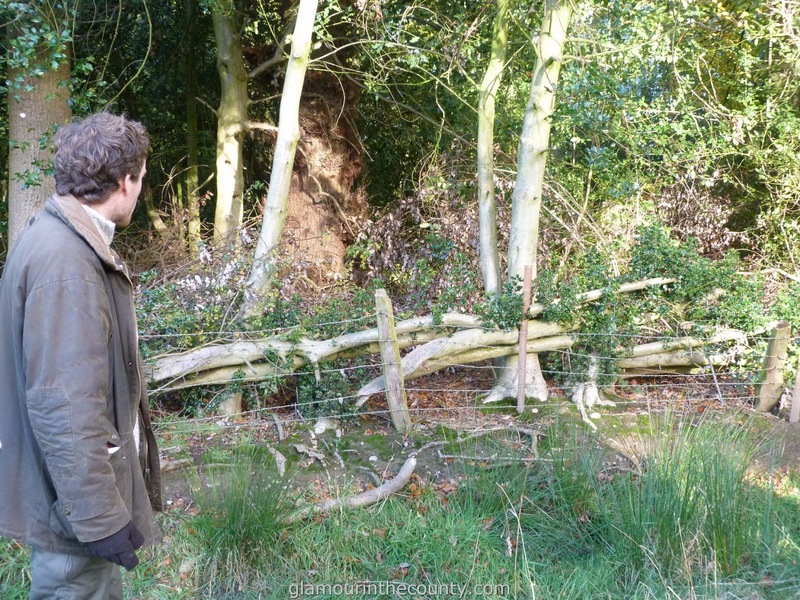 Oli’s job is to manage the woodland at Packwood, which he does with the help of volunteers and the local scout group. 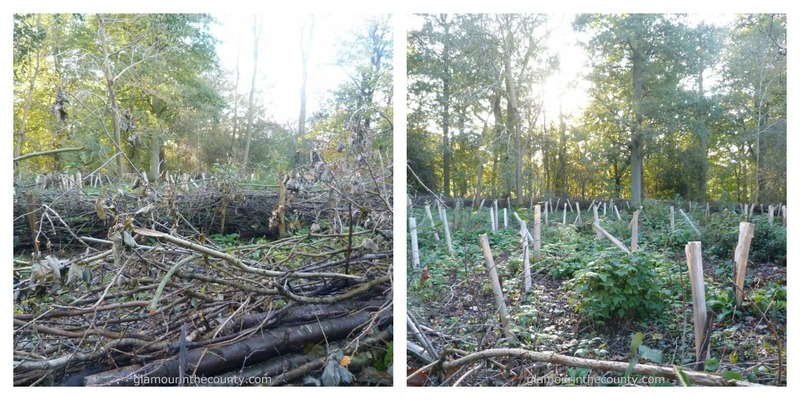 By teaching them traditional woodland management techniques, they learn something and Oli gets jobs around the wood completed. This year the concentration has been on hedge laying. We learnt that each County, in England, has a hedge style and Oli chose the Dorset Devon style for Packwood. These hedges are low to the ground which is safe for sheep, that are in abundance around the Gorse Wood. Using the trees for hedges actually helps the trees and stimulates root growth, which increases the trees life span and is a sustainable option. Walking across a new oak tree bridge we headed towards part of the Wood that has recently been cleared and now boasts a coppice with a broad leaf plantation of Ash. Being a slow growth wood, this Ash will take 30 – 40 years before the timber can be harvested. Around the coppice there are more hedges, but this time these are Deer friendly. Elm has also been planted here, which are good for the Packwood’s Gardener who needs 400 pea sticks a year, thankfully the Deer do not like Elm. As we made our way back to the House, I was already planning a return trip to Packwood to visit the other woods, and I’ll definitely be back once the new addition to Gorse Wood is complete. There are some fantastic walks and planned events on the Great British Walk map, I’m sure you will find something that suits you. I’d be interested to hear if you’ve been on a Great British Walk. 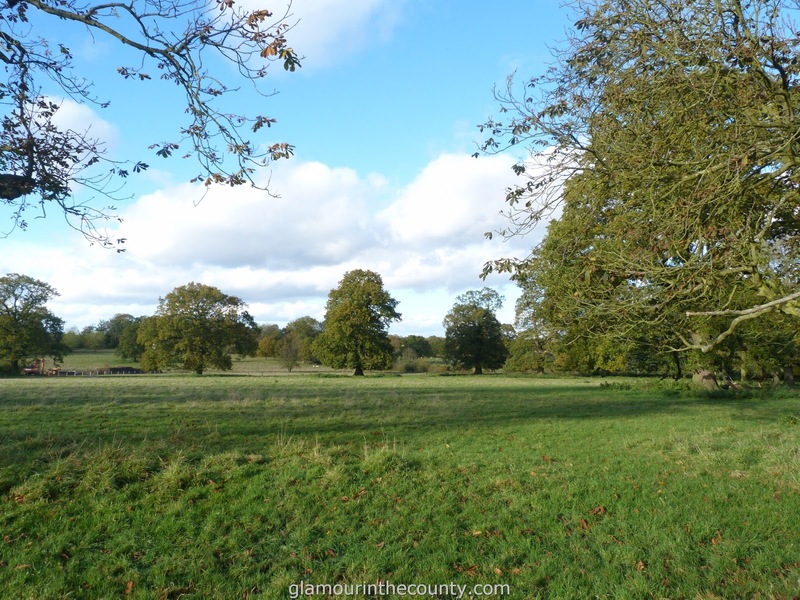 A sunny day in the English countryside……..definitely lifts the spirits!